Hosted by The Book Date. Before you say anything I know I have been bad at posting! I've had deadlines for Uni and had to focus on getting them done. I have a few reviews that I need to get up and hopefully they will be in the next few days. Anyway, It's Monday! What Are You Reading? is a meme where you talk about what you read last week, what you are currently reading and any upcoming reads. This book was rather emotional and a great contemporary read about the importance of family. You will shed tears if you read this, trust me. Review will be up soon. 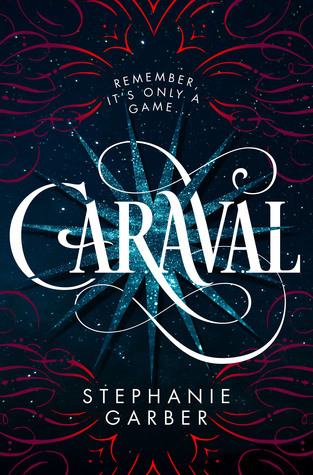 I am halfway through Caraval and I am LOVING it! It is keeping me hooked and I love the magic and mystery surrounding it. Definitely one to look out for. Will hopefully finish it in the next few days and I can already tell my review will be a positive one. I am buzzing to read this! It seems like it's going to be right up my street. Young Adult Fantasy? Yes please! This is on my February TBR list, but its always good to start it early right? Caraval and Frost Blood look good. I hope you enjoy reading this week! 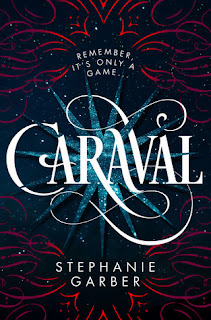 I agree, Caraval and Frost Blood look really good!! Aww, I've heard lots of great things about Relativity; I'm glad you enjoyed it! Have a great week! 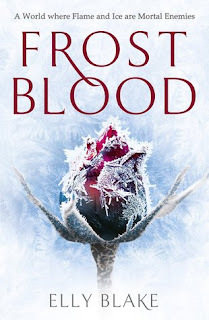 Caraval and Frost Blood are both on my TBR list. I can't wait to get my hands on them! I hope you enjoy them! 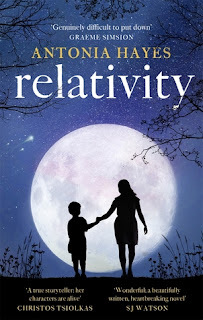 I haven't heard about Relativity but it's sounds really good. I'll have to add it to my list!